As teachers we will, as a matter of course, strive to provide for individual needs as best we can. There is an expectation at NTS to differentiate in lessons as part of one’s normal teaching and inevitably our provision will fall somewhere between whole-class teaching at one extreme and one-to-one tuition at the other. However, we try to go one step further in order to celebrate, increase, formalise and monitor our support of the most able. Support sessions run at lunchtime to help the most able Business Studies students. Advanced resources (eg A-level textbooks) are used/available for the more able pupils. Most able pupils are encouraged to attend drama club. Most able pupils are encouraged to attend theatre trips and to attend stretch and challenge events outside school. Star performers/ extension tasks set in class and as homework; pupils are directed to complete these. Star performers task menu supplied to most able pupils as a further means of providing opportunities for extension work. Focus groups of most able and top ability pupils are created within classes and tasked with stretch and challenge activities different to the rest of their class. Most able pupils used as learning leaders and experts in some lessons, where appropriate. Year 8 & 9 most able pupils work on separate schemes of work for short periods of time. These are based on AS level standard topics (population, tectonics, and coastlines) and are aimed to enhance vocabulary and technical understanding of the most able pupils. Most able pupils plan and lead Geography lessons in French. A level resources and text books are used with top set lesson (Years 8-11) to enhance their vocabulary and broaden their historical knowledge. Strategy games club after school. Sixth form students are encouraged to submit essays to national competitions. Year 13 Personal Enquiry. Pupils use a selection of degree-level text books to enhance their research skills in preparation for undergraduate historical research at university. Sixth form students are used as learning mentors in lower school lessons. Most able pupils are recommended websites and books to look at in order to enhance and broaden their knowledge. Specific activities incorporated into Curriculum Enrichment and Activities day to target the History most able pupils. Examples include debates and mock parliament discussions alongside visits to museums and exhibitions. A most able Computing pupil is able to decompose, abstract and present a problem in a precise and unambiguous way so pupils will be given the opportunity to present problems using a range of techniques beyond simple flow diagrams and pseudo code. They are able to identify the “shapes” of algorithms when implemented in code so once they have grasped the basic sort and search algorithms they will be encouraged to try and code other algorithms and in different programming languages. Pupils are encouraged to undertake independent programming activities to improve their problem-solving and de-bugging skills. Pupils can take part in after-school Computing club which will look at increasing confidence with a range of programming environments and will also apply skills to a range of problems particularly involving sensing and robotics. Pupils are encouraged to join in with the University of Southampton cypher challenge in the Autumn term which involves using decryption tools to crack secret messages. Key Stage 3 most able pupils take part in a leadership programme, taking warm ups or teaching small practical sessions to other members of their class. Most able pupils take part in judging, umpiring and refereeing other school based sporting events. After school Clubs in a variety of different sporting disciplines; including multi skills club aimed at most able pupils. Most able pupils encouraged to attend county and district trials and sporting events. Some most able pupils enter national competition with the support of private coaches and parents. Sixth form learning mentors involved in lessons (aimed at extending Year 10 and 11 most able pupils). Conversation classes at lunchtimes. Most able GCSE pupils work alongside A Level students to enhance their conversation skills. Key Stage 3 pupils have lists of extension activities and additional reading (books and websites) in the back of their books. Most able students lead lessons in other subjects, in French. Additional reading lists available for GCSE most able pupils. Latin and Greek are available for the most able students in addition to French and Spanish. Year 8 and 9 pupils work in teams of 4 and prepare for national maths and numeracy competitions which take place off site against teams from other schools. Year 10 pupils have the opportunity to take part in the Maths Feast competition, working in groups of 4. The most able pupils take part in the national Maths Challenge competition at junior, intermediate and senior level. There is a wide range of extracurricular activities at lunch time and after school. Individual instrumental lessons are available (piano, strings, woodwind, brass, drum kit, guitar). Opportunities for pupils to perform in concerts and events throughout the year. Sixth form receive peer led sessions as part of their normal lessons. A level most able students are given an additional reading list to broaden their knowledge and understanding. A great deal of emphasis is placed on developing thinking skills during lessons using P4C (Philosophy for Children) strategies. most able pupils are encouraged to focus on the more demanding aspects of these skills such as analysis and evaluation. Discussion or research based activities are incorporated into lessons to encourage the more able to work independently. Use of GCSE and A Level content at Key Stage 3 to provide stretch and challenge for the most able in Years 7,8 & 9. Guest speakers. Local scientists are invited into school to talk to pupils about aspects of their science career. Examples include doctors, dentists, radiographers, chemists and physicists from Sellafield, dieticians and vets. Most Able Reading Scheme. There is a range of books available in the library that pupils will be encouraged to read; both fiction and nonfiction. Lower school STEM events run by STEM ambassadors from Innovia, both in school and at the Research & Development centre at the factory. 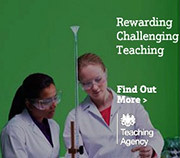 Encourage Year 11 and 12/13 most able students to apply for Science bursaries based on their ability and potential to pursue Science related subjects at A Level or degree level. These are provided by the REACT Foundation. A Level Chemistry and Physics students are involved in ‘real life’ research projects at Innovia. After producing a report and presentation on their work students can achieve a CREST gold award. A Level students are encouraged to attend talks and seminars put on by distinguished scientists and lecturers in the local area. Pupils of all abilities (inc. most able) have the opportunity to get involved in the following external events and competitions: The Arkwright scholarships for Engineering, Track 4X4 NAV challenge, Rotary Challenge for Key stage 3, React Foundation, and STEM activities. Young Enterprise Club aimed at Key Stage 3 pupils. International mentors: pupils have the opportunity to become international mentors who develop their leadership skills by helping with international activates and running Asia Club. Weekly debating club is offered for pupils in KS3.